The regular market held on Tuesdays and Saturdays throughout the year from 9.00 a.m. to 4.00 p.m. provides a great choice for a range of your needs from food, household goods, clothes, gifts and much more. Buxton, a spa town in the heart of the Peak District, is home to the highest market in England at 1020ft above sea level. Alongside the regular market there are specialist markets and events throughout the year. The first Saturday of each month sees a range of extra Craft, Quirky & Vintage stalls . There are special markets to coincide with Buxton events. For more details see what’s on. 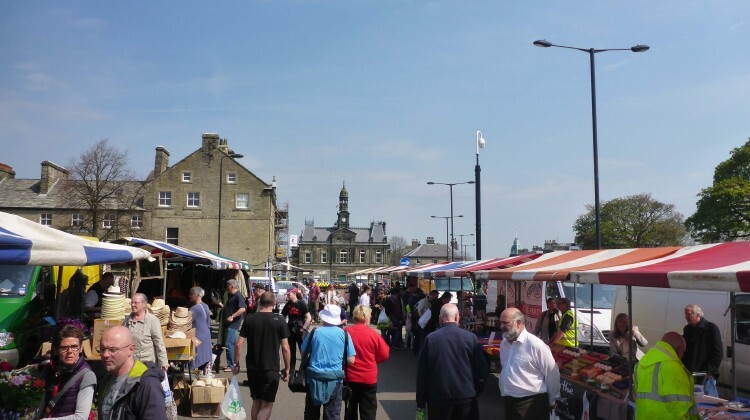 Are you interested in trading on Buxton’s regular market or one of our specialist events? We are always looking for new traders, find out more on our Traders page. You can get involved in the ownership and management of the market company. For more information about how to get involved; how you can support the market and a great tax-efficient way to invest in your local market see the Community Interest Company page.